Located just off the M60, Holly House is the perfect dental practice for residents of Hyde to go to for friendly, relaxing yet modern and comprehensive care. Our practice near Hyde has been welcoming patients for over 30 years and, having just undergone a major refurbishment, can offer state-of-the-art general and cosmetic dentistry using the most up-to-date techniques. Following the makeover, our surgery is a convenient and modern place to visit with a relaxing ambiance to settle any nerves you may have about getting a check-up. 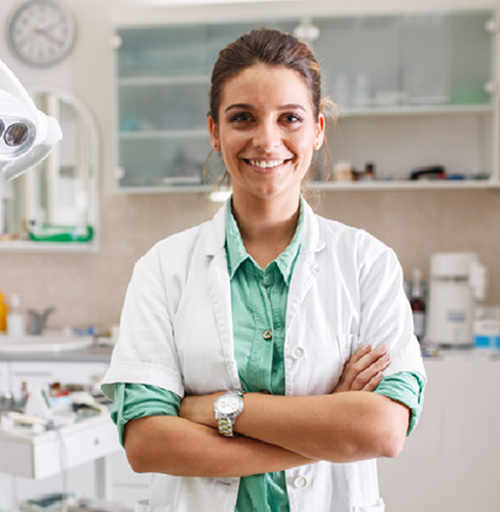 Our dentists believe strongly in keeping their skills sharp, and several members of our staff have chosen to undertake extra training and qualifications to specialise in particular areas of dentistry. This means we are one of the few dentists in and around Hyde able to offer specialist treatments such as orthodontics (tooth straightening), periodontics (gum disease), and prosthodontics (replacement of teeth with implants, dentures, bridges and crowns) from our own clinic. We offer a preventative approach to dentistry and advise all our patients on the most appropriate dental care regime. Our approachable staff want you to feel at ease with going to the dentist in Hyde and will answer any question, however small or silly you think it may be. Our dental hygienists offer a full cleaning package to bring the sparkle back to your smile and even if you haven’t been to a dentist for a while, we can work with you to reverse any damage and put you on the road to clean, white teeth for many years to come.